We live in a society that is go go go. It is amazing to see how many people function feeling really exhausted and tired all the time. It is important to pay attention to this because low energy is often the first sign that something is up with your health- and just adding another cup of coffee is not the right solution! When a patient complaints of low energy or low immune system, the objective is to figure out the root cause of the problem. There is no “one size fits all” approach to energy recovery. 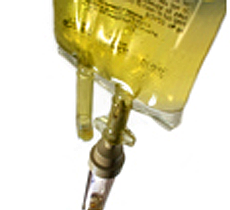 IV vitamin treatments is a common therapy used to recover energy fairly quickly. The vitamin cocktail used will be tailored to each individual. Intravenous therapy is a way of delivering high doses of vitamins, minerals and other nutrients directly into your bloodstream where your body can easily and quickly access them. Vitamins, and minerals are delivered immediately and directly fed to the cells. Nothing gets lost inside our digestive tract (which is the case when we take vitamins orally). Why not just take oral vitamins/supplements? 1. Many people don’t absorb vitamins very well through their digestive system. Much of what you take orally never finds its way into your bloodstream, particularly if you have digestive troubles, or are taking medications. IV therapy ensures that nutrients get to where they’re needed. 2. Your digestive system can have a hard time with high doses of vitamins. Taking large doses of vitamin C orally, for example, might upset your stomach—with IV therapy, your body can tolerate much higher (and more helpful) amounts. 3. Your body can access the nutrients better when they’re in your bloodstream, and that means IV’s can often give us better results, faster. For example, an individual receiving 1 g of Vitamin C in intravenous therapy will use up that dosage 10 times more as opposed to just taking 1 g of Vitamin C orally. In order to treat certain health concerns, we need to absorb high levels of certain vitamins or minerals in our bloodstream to achieve a therapeutic effect. Many times, these levels are impossible to obtain simply by taking oral vitamins. Dr. Miranda, ND is a qualified practitioner and she will screen you appropriately to make sure the injections are the right choice for you. This way IV therapy is safe and carries a low risk of side effects. What vitamin treatments are available at the clinic? These treatments allow us to deliver much higher levels of vitamin C in the blood than what is possible to obtain when taken orally. High Vitamin C anti-cancer cocktail has been studied as a therapy for cancer since the 1970s. The vitamin C creates hydrogen peroxide in high concentration which damages the DNA of the cancer levels, shuts down their energy supply and kills them outright. Best of all, it does so without harming any of the healthy cells. These treatments can help to slow the growth and spread of different cancers. They also help to improve quality of life, symptoms of fatigue, pain, appetite loss, as well as improve physical, mental and emotional function.